Richmond, Virginia, February 6, 2019 – Harris Williams, a global investment bank specializing in M&A advisory services, announces that it is advising Tech Air, a portfolio company of CI Capital Partners LLC (CI Capital), on its pending sale to Airgas, an Air Liquide company. Tech Air is aU.S. distributor of industrial and medical gases, welding supplies and related equipment. The transaction is being led by Giles Tucker, Eric Logue, Graham Rives and Chuck Walter of Harris Williams’ Industrials Group and Bob Baltimore of the firm’s Specialty Distribution Group. Founded in 1935, Tech Air is a leading packager and distributor of industrial, medical and specialty gases, welding equipment and supplies. The company is headquartered in Danbury, Connecticut, serves more than 45,000 customers and operates approximately 50 locations in California, Texas, the Northeast and Southeast. CI Capital is a leading North American private equity investment firm that has invested in middle market companies since 1993. CI Capital forms partnerships with experienced management teams and entrepreneurs to build substantial businesses through add-on acquisitions, organic growth and operational improvements. Since inception, CI Capital and its portfolio companies have made over 315 acquisitions representing approximately $10 billion in enterprise value. Airgas is a leading U.S. supplier of industrial, medical and specialty gases, as well as hardgoods and related products; one of the largest U.S. suppliers of safety products; and a leading U.S. supplier of ammonia products and process chemicals. Dedicated to improving the performance of its more than 1 million customers, Airgas safely and reliably provides products, services and expertise through its more than 18,000 associates, over 1,400 locations, robust e-Business platform and Airgas Total Access® telesales channel. 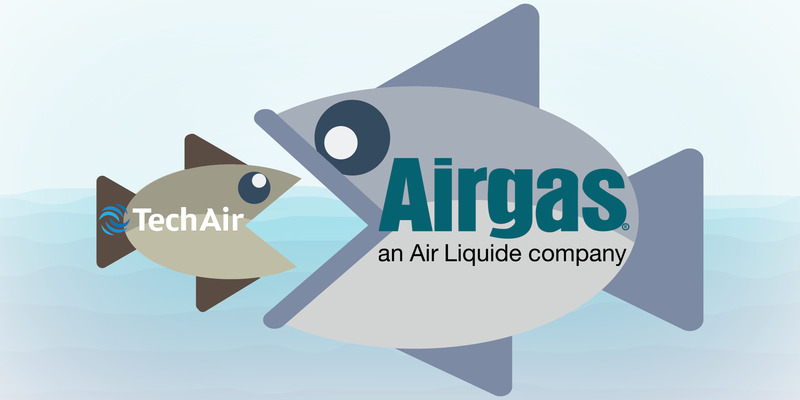 As an Air Liquide company, a world leader in gases, technology and services for industry and health, Airgas offers customers an unrivaled global footprint and industry leading technology and innovations. Harris Williams’ Industrials Group has experience across a variety of sectors, including advanced manufacturing; aggregates, metals, and mining; building products; chemicals and specialty materials; industrial technology; and packaging. For more information on the firm’s Industrials Group and other recent transactions, visit the Industrials Group’s section of the Harris Williams website. Harris Williams’ Specialty Distribution Group has experience across a variety of sectors, including automotive and heavy duty aftermarket; building products; consumer; electrical and communications; foodservice; healthcare; industrial; and technology. For more information on the firm’s Specialty Distribution Group, visit the Specialty Distribution Group’s section of the Harris Williams’ website.